Elder statesman, Sir Olaniwun Ajayi has warned President Muhammadu Buhari not to take steps that could let Nigeria go the way of Yugoslavia which buckled under bloody wars before it eventually broke into smaller nations. 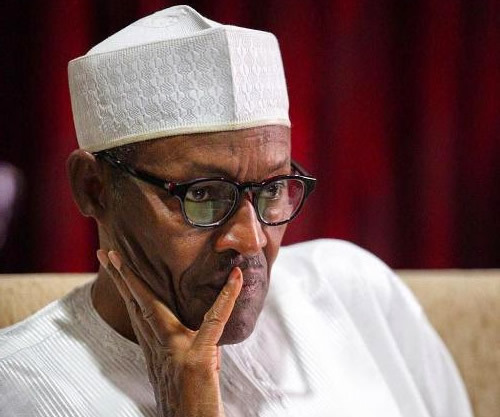 Ajayi, a political associate of the late Chief Obafemi Awolowo, while reacting to the on-going agitation in the Niger Delta and Eastern Region, said Buhari should not reject the persistent calls by well-meaning Nigerians for the restructuring of the country. He made it clear that leaders of Yugoslavia’s failure to recognise the fact that the country was a confederation of republics led to the series of bloody war which eventually made the country disintegrated into several nations. The nonagenarian noted that between 1980 and 1990, the Yugoslavs tried all they could not to disintegrate until they began to kill themselves, and in 1991 they began to break up into Croatia (1991), Slovenia (1991), Macedonia (1991), Serbia (2006 ), Bosnia and Herzegovina (1992), Kosovo (2008), Montenegro(2006). He noted that Nigeria should be run along the existing six geo-political zones to enable every zone develop at its own pace. “We are not a one monolithic country. We are a federation of different nations. And if we are so different, we should be managed according to our nature and culture,” he said. He pointed out that there was no way the president or any leader would force a multicultural country like Nigeria to live same way, saying the ideologies and ways of life of Fulani and Igbo are not the same, neither is Yoruba and Kanuri ways of life the same. On what the nation should do not to go the way of Yugoslavia, Ajayi said “that is why in 2014 there was national conference. It was for us to rub minds and make sure all these things don’t happen. “But some people feed fat on the problems of Nigeria, they want to keep getting revenue from oil, revenue from this and that, then position from this and that” he added. Ajayi, who is in his early 90s warned the president and other national leaders on the consequencies of failure to restructure the country. “But for you to be saying you are going to amass and control everything the consequences will be calamitous because when the chips are down, the situation will be worse. “The whole of West Africa will not contain Nigerians should the war break out. And it would not end on time. Besides, it is only the beginning of war that a man can predict; nobody can say when and how it will end. “The Syria war has not ended. Iraq and Libya have not got out of their crises. So, they should be careful and listen to the voice of the people. You can compare how you led the nations in the 1980s, when common men didn’t have access to phone and there was no social media as we have today,” he added.